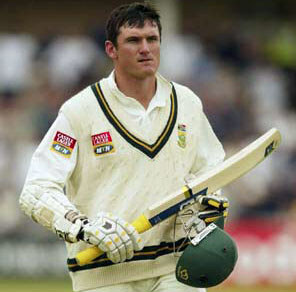 Dec 24: South Africa captain Graeme Smith has said that his team is better placed against Australia ahead of the second Test at the MCG, starting on the Boxing Day. Smith said while the Proteas' history-making victory in Perth had given his side extra self-belief, it was also handy having the first match completed after a long build-up to the series. The Sydney Morning Herald quoted Smith as saying on Wednesday that factor would assist the Proteas, like it did in England earlier this year when South Africa drew the first Test but improved markedly to win the next two which secured a series win. "We had a few issues at Lord's but that was the first Test match of a series (with) a lot of hype and build-up. We've got through that sort of process already here. From our perspective I think the guys are far more settled now, there's a lot more self-belief in terms of what they've achieved as a team and individually in the last Test." "I think there'll be a few exciting moments but I think most guys are in a good space," Smith said. A win at the MCG will earn South Africa their first series victory on Australian soil. Smith said he was certain to play on Boxing Day despite having had his troubles with an injured right elbow this year.